Details of the no-host tailgate prior to the Wabash-Wittenberg football game have been announced. Tailgating is set for 11:00 AM with the game starting at 1:00 PM - the date is November 6, 2010. 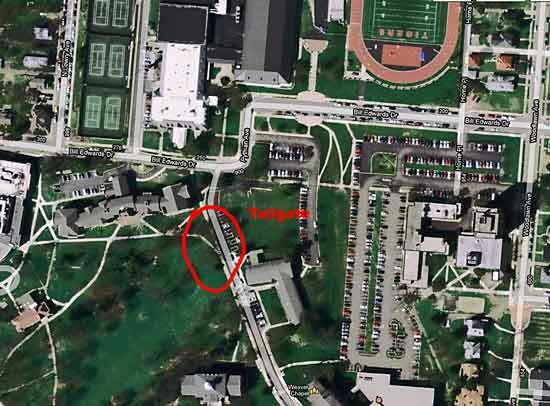 Through the help of the Alumni Office at Wittenberg, the street just to the southwest of the football stadium will be blocked off for Wabash tailgaters. This puts our tailgate much closer to the stadium than in years past. The tailgate is no-host. We ask that everyone bring their own food and beverages. This will be the last tailgate of the regular season schedule. Hope to see you at Wittenberg for what promises to be a great NCAC matchup.